Best Gameplay, Best Career/Story Mode, Best Franchise Mode, Best Team-Building Mode and Best Presentation can already be voted on! 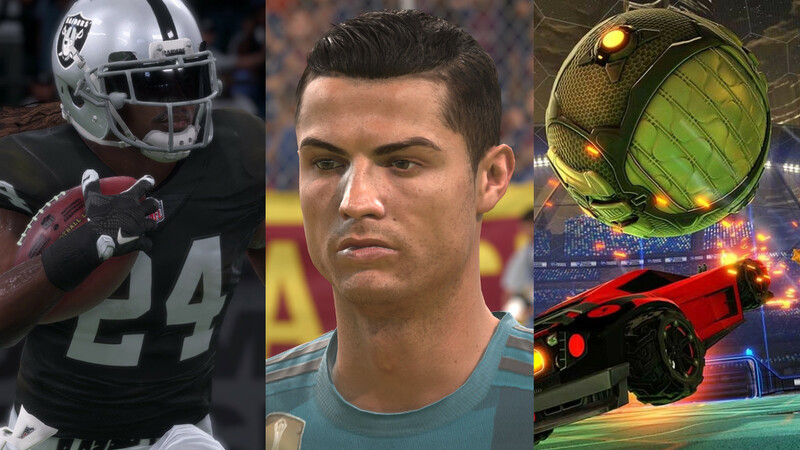 Categories still to come include Sports Game of the Year, Best New or Non-Yearly Sports Game, Best Mobile Game, Best Racing Game, Best Post-Release Support, and Best New Feature. All winners announced later in the month. Madden NFL 18 is looking to claim the seventh straight victory for the series in the category, as its reliable servers have been key along with a variety of different ways to play (Online Franchise, H2H, Ultimate Team, MUT Draft, and now MUT Squads). FIFA 18 returns as a challenger with an always incredibly impressive consistent online performance considering it has the most total players and they’re spread across the globe. The remarkably popular Rocket League was the runner-up in 2016 and gets another shot in 2017.